Additional Tools & Materials: Adobe Illustrator, watercolor paper, RoboPaint software, scanner. Have you ever wondered what it would be like to paint with your feet? Then the Watercolor Bot I used for this morning's study is for you! When I heard that NC State's DH Hill Library had a watercolor painting robot, I knew I had to find a way to work it into this series. 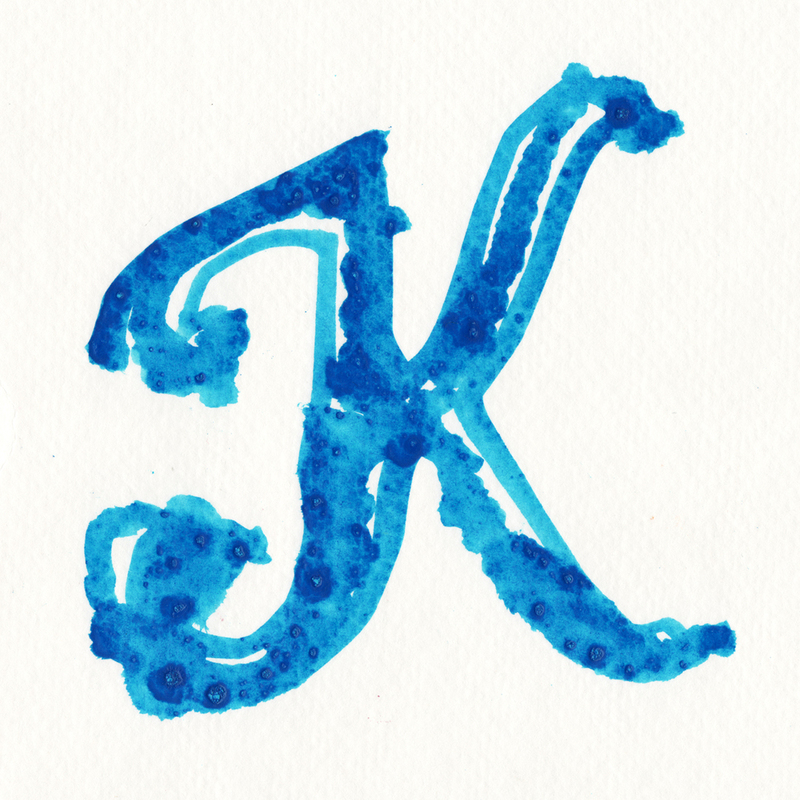 After a few false starts, I did finally get the thing working and creating semi-legible letter Ks. 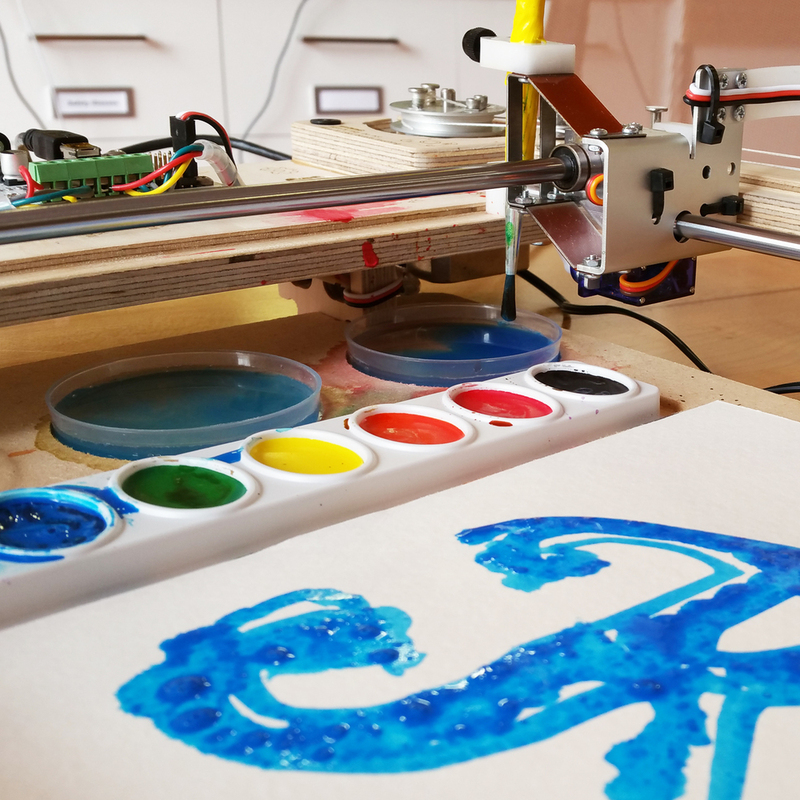 The watercolor bot is essentially a CNC (Computer Numerical Control) programmed frame that controls an arm into which you can clamp a paintbrush (or pen, or pencil, or anything for that matter). When connected to the RoboPaint software, you can load a ready made .SVG file or create your own, then send it to the watercolor bot for printing. It really is that simple. A sheet of 9x12" watercolor paper is held onto the printing surface by one small binder clip. The paintbrush alternates between dipping its tip into clean water then smearing around the colors in a basic Crayola 8 color watercolor palette, then painting onto the surface. I was impressed that the set comes with three identical containers for holding clean water, and that the brush will rinse itself in all three before switching to a new color. Very clever! That being said, my results were not great. 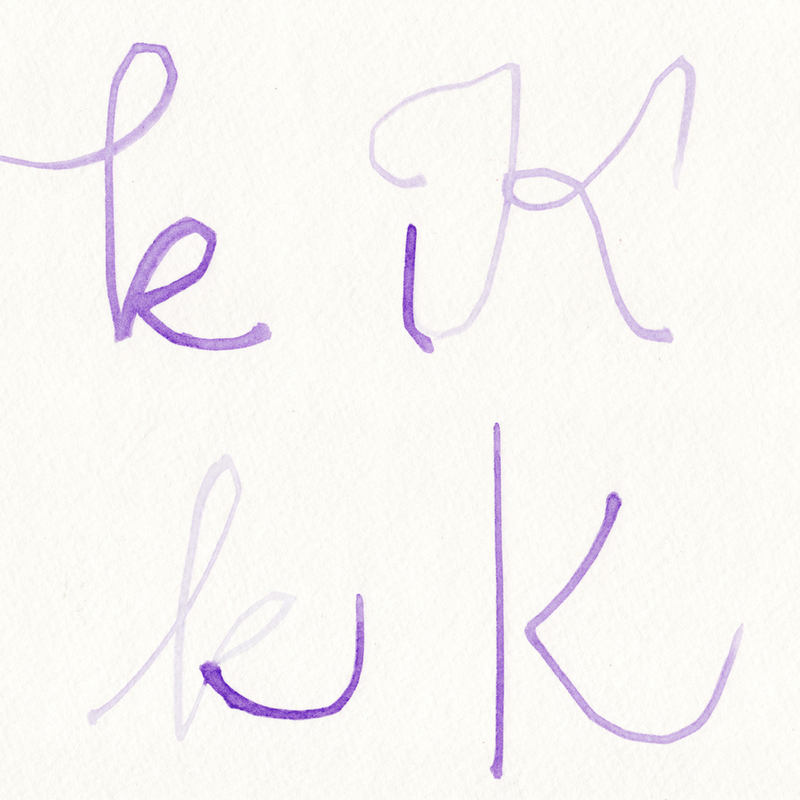 I had trouble loading my original .SVG image at first (see image 10), so instead I tried to draw "freehand" into the RoboPaint software, which is an only slightly glorified Microsoft Paint (see the purple Ks, images 3-5). These looked okay, but only if the letter was created with one uninterrupted line, and if the brush didn't run out of paint before completing the letter. What I learned about this machine is that it is both very adjustable and very hit-or-miss. For instance, there are at least ten different settings you can adjust in the software for stroke width, quality of fill, and so forth, but there is no automated control for the height or pressure of the brush on the paper - that is entirely down to where you clamp it to the machine. Once I finally got my SVG script K design to load correctly, I was able to play with these settings to get a variety of line quality and threshold of paint. The first one was a disaster (image 8, in case you hadn't guessed) - I had blown out all the settings for neatness and line containment, just to see the extreme. The next one, image 9, was the opposite - a very conservative, deliberate, and slowly rendered letter with tight, neat strokes. The cover image - number 1 - was a nice compromise between the two, and most closely resembled the original design in image 10. Qualities of letters created in this way are: messiness, unpredictability, splotchiness, uncontrollable air bubbles, and inconsistent color. These letters were each about 5" tall - I'd be curious how this machine faired with single-stroke letters in the 1/2" to 2" range.